Computech Technology Services of Lexington Kentucky provides high quality onsite computer repair, network installation & configuration, printer repair, and data cabling services throughout Fayette County and the surrounding local areas of Nicholasville, Winchester, Richmond, Paris, Georgetown, Frankfort, and Lawrenceburg. Our professional onsite techs travel to you to perform computer repairs directly at your location, saving you time and money. Our computer repair services are thorough and professional, addressing virtually any computer issue you may be having including operating system crashes, software errors, hardware compatibility problems, drivers, and even backup and data recovery. Our experienced, industry certified network technicians can perform installation, configuration and troubleshooting & repair of literally any type of network devices you have. Our professional onsite data cabling services can cover everything from a simple data or telephone jack repair, to pulling new low voltage inside wiring throughout your office. Our complete, convenient and professional onsite tech services can handle any onsite technical problem you have, quickly and professionally. Why wait? Call us today and find out why so many of our customers in Lexington continue to utilize our services to keep their computers and computer equipment up and running (859) 780-3020. Lexington’s Best Onsite Computer Repair Services. Our local Lexington technicians are on call now to service your computer and technology needs, whether residential or small business. All of our technicians are professionally certified by multiple vendors and manufacturers including Microsoft, Dell, HP, and many more. Our onsite technicians are background checked, drug tested and fully vetted to provide the highest level of professional computer repair services available in and around the Lexington area. With our pro onsite services, our techs travel to you, so there is no worry of leaving your expensive technology at a shop somewhere with a complete stranger. Our friendly and courteous technicians will come to you and work with you to resolve any computer issue you have. Why call a “geek”, “guru” or “PC doctor” when you can call on a local professional? The answer is clear. Call us and get that computer fixed today! (859) 780-3020. Lexington Pro Data & Telecom Network Services. All of our pro registered network services technicians in Lexington are highly trained, experienced networking pros. All of our technicians are background checked, drug tested, and fully vetted for customer service, certification and experience requirements to provide the absolute highest quality onsite network services to our clients. Our technicians hold a wide variety of certifications, from cabling standards certifications to vendor and manufacturers like Cisco, Amp, Wireshark, Ubiquiti Networks, and many others. This guarantees that no matter what type, make, or model of equipment you have, you can be certain that our technicians are knowledgeable and capable, and can perform any repairs and configurations quickly, and professionally. We strive for the highest quality services and customer satisfaction possible, so give us a call today and let us show you why we are the highest rated and recommended onsite network services company in Lexington (859) 780-3020. About Our High Quality Lexington KY Onsite Services. 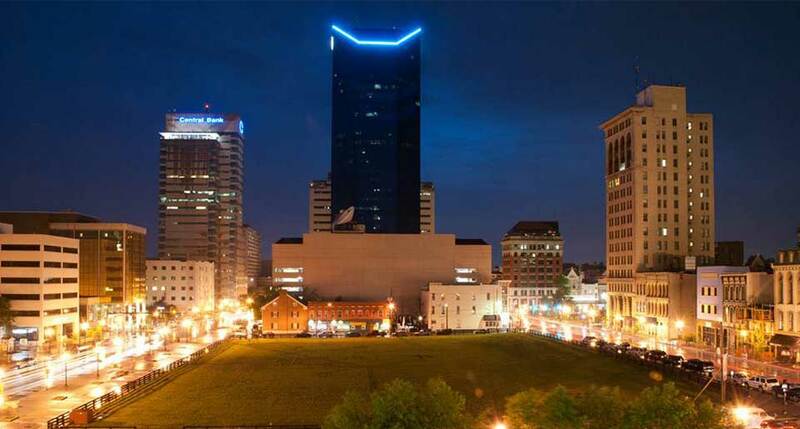 Since 2008, Computech Technology Services has been providing the highest quality onsite technology services available in and throughout the city of Lexington. Our local technicians have serviced thousands of onsite service requests for a wide variety of equipment in a vast array of industries including residential, commercial, medical, industrial, hospitality, and government. Our services are designed to provide you with the fastest, most professional on demand computer repair services possible. Give us a call today and speak to one of our amazing and helpful account managers to get your service call scheduled immediately, and find out why so many of our customers refer us to their friends and family to provide them with our valuable onsite tech support services (859) 780-3020. It is our pleasure to inform you that Computech Technology Services has been selected for the 2018 Best of Lexington Awards in the category of Computer Support and Services. The Best of Lexington Award was established to recognize the best of local businesses in our community. Computech Technology Services Receives 2018 Best of Lexington Award.